Maybe it's time we stop defending Nazis. For many free speech advocates, the answer is not just "yes," but "hell, yes." 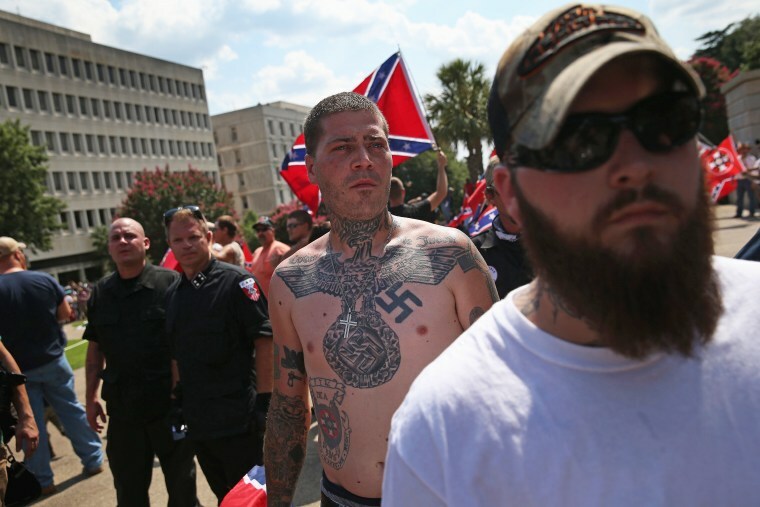 Nazi ideas are, supposedly, among the most despised ideas in the United States. It's precisely because they are so loathed that Nazis must be vigorously defended, the argument goes. As the executive director of the ACLU said in a recent interview: "If we grant government the ability to deny people protest permits because of what they say or how they say it or what they stand for, that we'll find then that speech in other contexts will be regulated and suppressed." If Nazis are silenced, other people will be silenced. You need to protect people who hate marginalized people, or marginalized people will be targeted next. Richard Delgado and Jean Stefancic of the University of Alabama School of Law reject this conventional wisdom. The two professors have collaborated on numerous volumes about racism and the law, including "Critical Race Theory: An Introduction" (2012). In their new book "Must We Defend Nazis? : Why the First Amendment Should Not Protect Hate Speech and White Supremacy," they argue that in fact regulating hate speech would make the United States a fairer, more equal and less hateful place. "The best way to preserve lizards is not to preserve hawks," they insist in the book. "Our answer to the question, does defending Nazis really strengthen the system of free speech is, then, generally, no. Sometimes defending Nazis is simply defending Nazis." The ACLU and its many supporters see this as sacrilege. But Delgado and Stefancic make a compelling case. Delgado and Stefanic argue the price for freedom in this case may be higher than we think. They point out, in the first place, that hate speech causes real harm. Free speech advocates will sometimes insist that words don't cause damage. They disregard — or even mock — the concerns of students on college campus who protest speeches by controversial figures like Milo Yiannopolous, who has used his speaking engagements to harass trans students, among other marginalized groups. They argue that victims should toughen up and ignore hateful words, or accept them as the price of freedom. Delgado and Stefanic, though, argue the price for freedom in this case may be higher than we think. For example, a John Hopkins study published in 2013 concluded that being exposed to racism can lead to high blood pressure and stress among African Americans. Similarly, according to research by Claude Steele at Cornell, negative stereotypes affect African-American self-perception, and can lead to lower test scores. More, the rash of recent stories about sexual harassment in the workplace provide stark examples of how hostile words or technically non-violent actions — like men exposing themselves —can create an intolerable environment, forcing women out of industries and leading to long-term stress and trauma. Free speech advocates also overstate the benefits of free speech, Delgado and Stefanic argue. The ACLU and its adherents claim that marginalized people who ask for restrictions on hate speech don't understand the importance of free speech to civil rights movements. But that argument is paternalistic, and also incorrect. In reality, free speech rights have rarely protected black people in this country — especially activists of color. "The First Amendment co-existed quite comfortably with slavery for nearly 100 years and was never thought to cover abolitionist speech or speech deemed adverse to American interests," Delgado told me in an email. The First Amendment co-existed quite comfortably with slavery for nearly 100 years. Currently the federal government is prosecuting 200 people for being present at the protests during Donald Trump's inauguration, including journalists and street medics. The ACLU's decision to defend the Nazis in Charlottesville didn't magically prevent the government from arresting, harassing and attempting to imprison many peaceful protestors for decades. This doesn't mean that the First Amendment is useless, clearly. Hopefully it will play a part in helping the protesters, known widely as the J20 defendants, go free. But it also isn't a cure for all social ills. Hate speech hurts marginalized people, and the First Amendment doesn't always and invariably protect them. Free speech advocates say that hate speech "is a price 'we' pay for living in a free society," Delgado told me, but they never stop "to add up the two accounts" or look "to see on whom the price is imposed." The alternative, Delgado and Stefanic argue, is to start trying to add up those accounts. They point out that courts have already granted relief for torts of outrage or emotional distress in cases like Contreras v. Crown Zellerbach, in which a Mexican American worker was subjected to racist abuse. The First Amendment was in part intended to prevent government reprisal against critics. But why can’t the legal system prevent one citizen from attacking another verbally? Schools — yes, including state schools — should certainly be able to institute hate speech regulations. Probably the most popular counterargument to regulating speech is the slipper slope argument. If the U.S. became more willing to restrict hate speech, what would be the result? Would we head down a path towards totalitarianism? In practice, the U.S. already restricts speech in many ways — the courts have allowed limits on death threats, on libel, on slander, on advocating violence. Of course not. In practice, the U.S. already restricts speech in many ways — the courts have allowed limits on death threats, on libel, on slander on advocating violence. Many free speech advocates are willing to try to balance free speech harms and free speech goods — except, it seems, when it comes to hate speech against marginalized communities. Other countries are willing to take the health and safety of their most vulnerable citizens into account. Were the U.S. to properly recognize the danger of hate speech, we wouldn't look like Orwell's "1984." Instead, Delgado told me, we'd "look like France, Germany, The Netherlands, Canada or Sweden, all of whom regulate hate speech but where the political climate is just as free and healthy as our own, if not more so." The First Amendment is a crucial right, and one which, used thoughtfully and with good will, can help to make our society both more free and more equal. But currently free speech legislation, and free speech ideology, is backward-looking and reactionary. "Free speech!" is a battle cry that has been picked up by neo-Nazis and white supremacists. They see First Amendment advocates as allies —and it's not because they love freedom. It's long past time we acknowledged that speech directing hatred and vitriol at marginalized people does not advance freedom or liberty. Rather than defending Nazis always and everywhere, no matter what, we need to take a more balanced approach. That approach should include defending the people that Nazis want to murder.